The State forest department has launched an Android app — Tamil Nadu Treepedia. It helps users to learn more about the types of trees they can grow in the State. 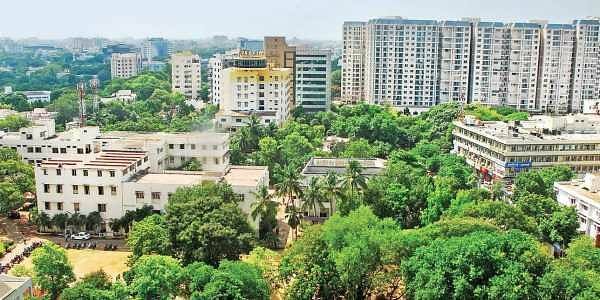 CHENNAI: In a bid to increase the tree cover in the State and plant the right mix of trees, State forest department has developed an android application, “Tamil Nadu Treepedia”, which offers one stop solution for individuals seeking guidance on choice of tree species. The application has been developed under Tamil Nadu Innovative Initiatives Scheme (TANII). It provides a variety of options to farmers, home gardeners, industries and individuals to choose the right tree based on their requirement. The main objective of this application is to guide them with the plantation technique and post plantation care. Beneficiaries can use the facilities available in this app to choose the right tree using the options like ‘choose by tree species’, ‘choose by tree type’, ‘choose by location’ and ‘tree finder’. The initiative comes amid growing concerns about the shrinking tree cover in the State, particularly in Chennai. Sudha Raman, Vandalur zoo deputy director, who is the project coordinator, said the app has details of about 150 tree species of which majority are native ones chosen carefully based on agro-climatic conditions like temperature, soil type etc. “We want to encourage people and interest groups who are keen on undertaking greening initiatives to plant more native species. During cyclone Vardah, the large-scale tree felling was reported due to high percentage of exotic trees. We want to reverse the trend and introduce lesser known native species,” she said. The officials said workshops and awareness programmes have been conducted in nearly 12 districts popularising the app among farmers, self-help groups and are planning to take the initiative to agriculture colleges too. “So far, there has been 5,000 downloads and a dedicated website has also been designed. Those visiting the website can click the ‘choose by tree species’ option which provides details of about 150 species of trees as well as the various grooming techniques and related information. People can choose the ‘tree type’ option and get information on aromatic trees, avenue tress, bamboo, fibre, firewood and fodder trees, fuel and oil trees, horticulture, timber trees, urban trees etc. The website has complete details on individual species which make the plantation easier,” Sudha said. Another reason for developing ‘Treepedia’ is lack of information on availability of different tree species. “The project of developing this web/mobile application — Tamil Nadu Treepedia — was aimed to bridge the gap between the resources and the people. The farmers need to be educated about various species of trees that are available for plantation. Only few tree-based industries popular in the country, and there is a heavy demand only for those selected species. The forest departments have to play a vital role in exposing the opportunities and the exploring the unpopular trees species by using technological advancements as emphasised by Digital India. ‘Tamil Nadu Treepedia’ is one such initiative,” the official said. The forest and tree cover of Tamil Nadu constitutes 24.16% of the total geographical area of the State as against 33% envisaged in National Forest Policy, 1988. To increase the green cover outside forests, the State forest department of Tamil Nadu have initiated programmes like, tree cultivation in private lands under Tamil Nadu Bio-Diversity Conservation and Greening Project (TBGP). Free distribution of seedlings to institutions and individual households. They are also conducting massive tree planting programme.